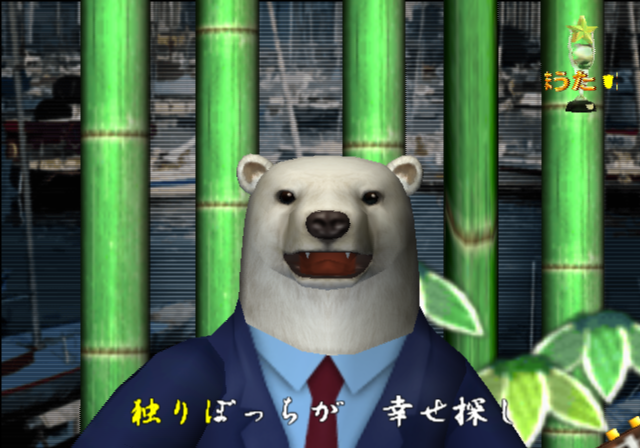 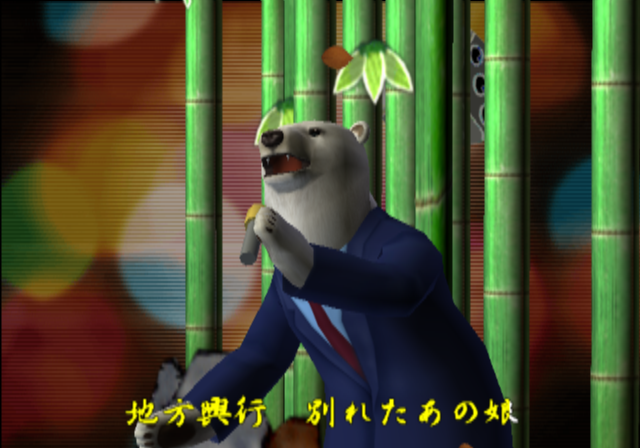 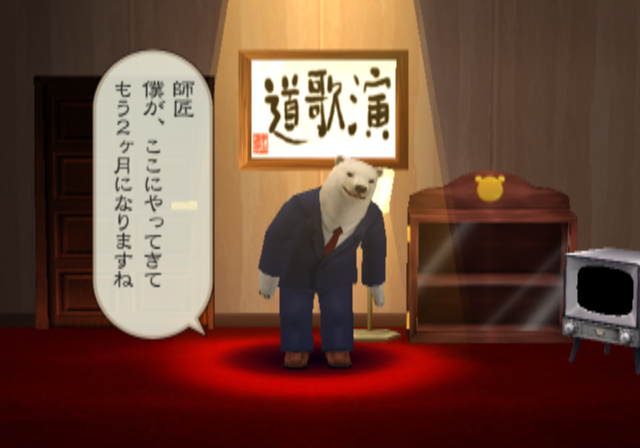 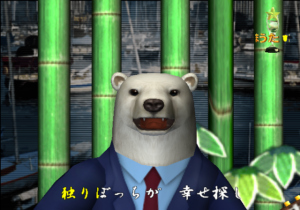 Among all of the weird, experimental games in the Japanese PlayStation 2 library, one of the most fascinating is Kuma Uta (“Bear Song”). 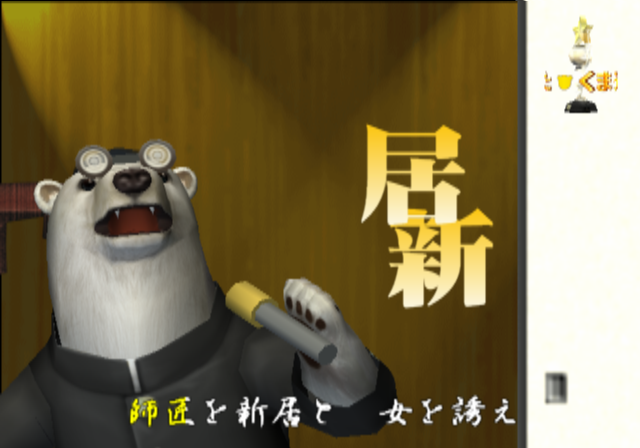 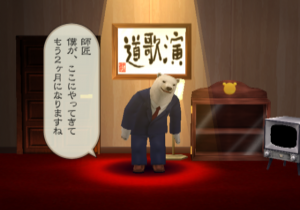 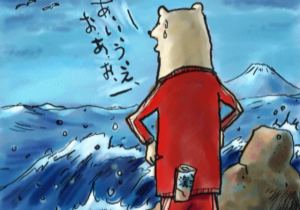 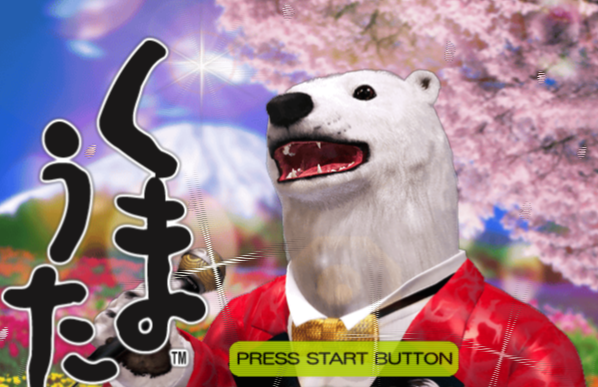 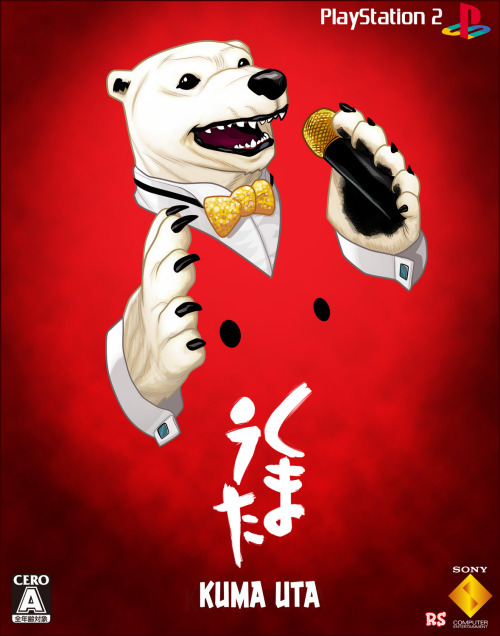 It stars a polar bear who decides to ditch his peaceful life in nature to become an enka singer. 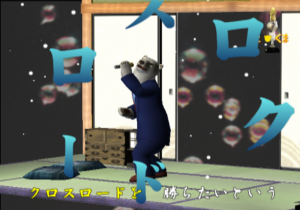 “Enka” is a very particular style of Japanese music that takes the form of sentimental ballads, often with themes of nostalgia, love, and loss. 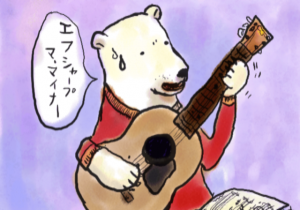 It’s very divisive, even in Japan, as it’s generally seen as sort of “old people” music. 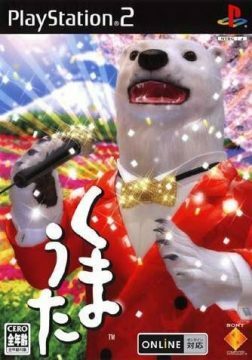 So obviously, seeing a bipedal polar bear, wearing various outfits and belting out songs about life, is pretty ridiculous. Your goal, as the player, is to aid the bear, Kuma, reach the top of the charts by helping him write these songs. Here, you can suggest various topics, after which he’ll scrawl out some lyrics and show them to you for approval. 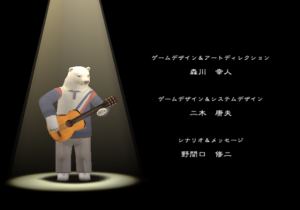 The main gimmick is that none of the songs are prerecorded, and are instead “sung” on the fly using a synthesized voice, one of those things that’s made easier in Japanese thanks to its syllabic structure and consistent pronunciation. 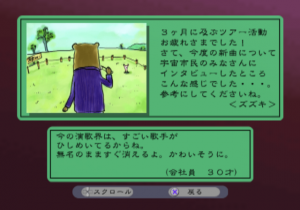 If this sounds similar to Hatsune Miku and the virtual idol phenomenon, that’s absolutely correct…except Kuma Uta predates the Vocaloid software by a few months, and a good number of years before it really caught on with the greater public. Obviously pop idols and their peppy music are a much easier sell than the absurdist crooning of a disaffected polar bear, which is why Hatsune Miku and friends are basically household names, whereas nobody really remembers Kuma Uta. Plus, unlike the rhythm-based titles from Sega, there’s not much of a game in Kuma Uta – you just help write songs, listen to them, and hope you had all of the right ingredients for a chart-topper. 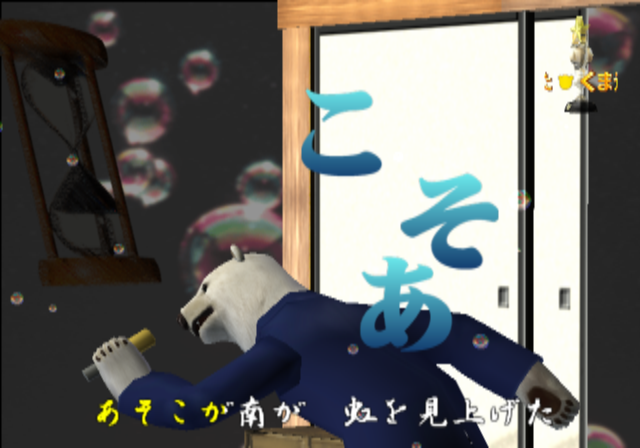 Without understanding Japanese, some of the humor is lost, but its surrealness is still universal. As an aside, HG101 cover artist Rusty Shackles created one of the few known pieces of fan art for this game, because just look at it.